Most of you have probably already heard about graphene, the material of the future capable of offering a massive battery life to any kind of electronic device, even electric vehicles. One of the main issues with graphene is that its mass production is costly and time-consuming, but we might have come across a fix for that in the form of acid and various solvents. Graphene is being called the material of the future because its conductive powers are able to hold and distribute power in a much more efficient way than regular Lithium-ion batteries can. South Korean researchers might have discovered an easier and cheaper way to mass-produce graphene in the form of deep-frying. No, we are not referring to cooking oil, but to materials much more volatile and dangerous, such as industrial solvents and acid. 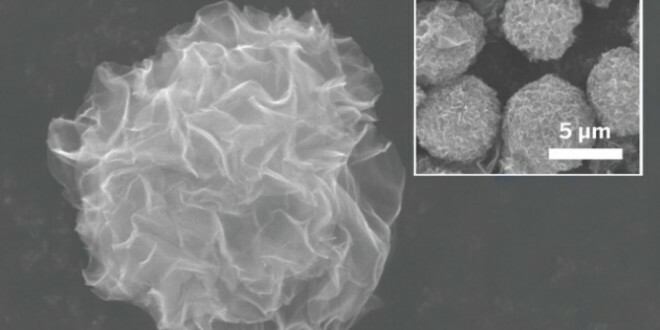 By spraying graphene oxide droplets into a pot of hot organic solvents and ascorbic acid, South Korean researchers have created graphene microparticles that look like pom-poms. These pom-poms contain graphene nanosheets that radiate from the center outwards, thus increasing the exposed surface of the material and creating “nanochannels” that enhance charge transfer. The benefits of graphene are many, including superior conductivity, stability and a high surface area. With the material, scientists can effectively create batteries that will last longer on a single charge and offer a cleaner, better alternative to regular batteries. There still is research to be done until these graphene pom-poms can be effectively incorporated into usable battery units, but the fact that scientists have finally found a viable way to mass produce the material is an important step forward. 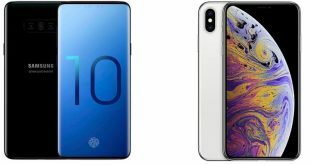 Samsung has already teased their graphene-based battery units which are thin as paper and can bend to will, but said they still need about 5 years to perfect the technology. Another problem with graphene-based batteries is that they tend to wear out after various amounts of charges (15 charges is an initial estimate, but it depends on how the battery is constructed and what kind of graphene it uses). Whichever the case may be, we are looking forward to seeing these next generation batteries being developed in the next couple of years.